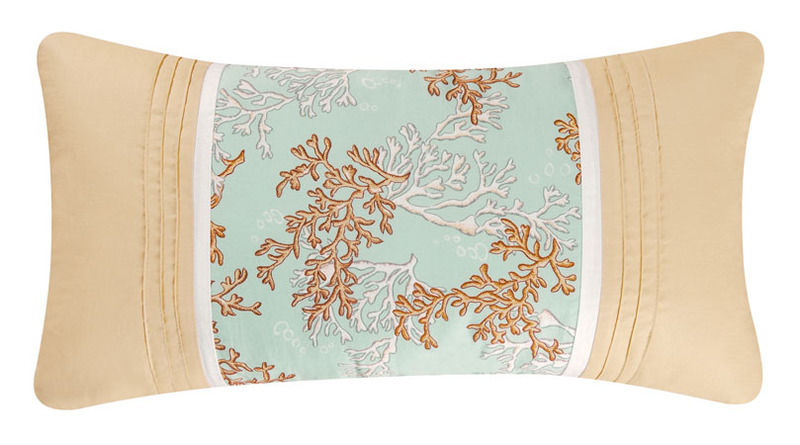 Seafoam background with coral reef detail. The tan borders feature pleated tuck accents. Measures 10 x 20 in.